Bryan M. Hyre – Lessans Praley & McCormick, P.A. 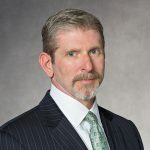 Bryan M. Hyre practices primarily in the areas of real estate, business and commercial law, representing clients in a broad range of transactional matters and litigation. Mr. Hyre also serves as the Vice-President of Northco Title Corporation, the firm’s wholly-owned real estate title company. Mr. Hyre received an undergraduate degree from the University of Baltimore, and also completed his legal education at the University of Baltimore School of Law, receiving his Juris Doctor degree. Following his graduation from law school, Mr. Hyre served as judicial law clerk to the Honorable Michael E. Loney in the Circuit Court for Anne Arundel County. Mr. Hyre joined the firm in 2000 and became a partner in 2005. He is admitted to practice before all Maryland trial and appellate courts, the United States District Court, District of Maryland and the United States Bankruptcy Court. 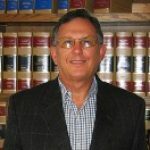 He is a member of the Maryland State Bar Association and the Anne Arundel Bar Association. Lessans Praley & McCormick, P.A.